While the holiday season may be a joyful time of love, gratitude, and celebrating with your family and friends, the holiday season is also one of the most dangerous times of year to be on the road. There are multiple reasons why the holiday season is one of the deadliest times of year for drivers and passengers alike. From Thanksgiving through New Year’s Eve, the roads are much busier than normal. Whether they’re commuting to visit family, rushing off to buy last-minute gifts, or heading to a New Year’s Eve party, people generally have more reasons than usual to be out and about during the holiday season. Plus, most people get some time off for Thanksgiving and Christmas—which means more people are on the roads when they would normally be at work. Since traffic is heavier during the holiday season, instances of road rage and reckless driving also increase. People have many more opportunities to drink alcohol at this time of year—from wine with Thanksgiving dinner to champagne on New Year’s Eve—than they do throughout the rest of the year. Unfortunately, this spike in alcohol consumption leads to an increase in the number of drivers who get behind the wheel when they are too intoxicated to be driving. To top it all off, weather conditions tend to be harsher during the holiday season and snow and rain are both major contributors to car accidents. The statistics regarding car accidents and fatalities on the road during the holiday season are alarming and frightening. While it is important to be aware of the increased dangers on the road during the holiday season, that doesn’t mean you have to keep your car locked up in the garage from the end of October until January 2nd. Just make sure you’re doing everything you can to keep yourself and your passengers safe on the roads this holiday season. Traffic is especially heavy during the holiday season. 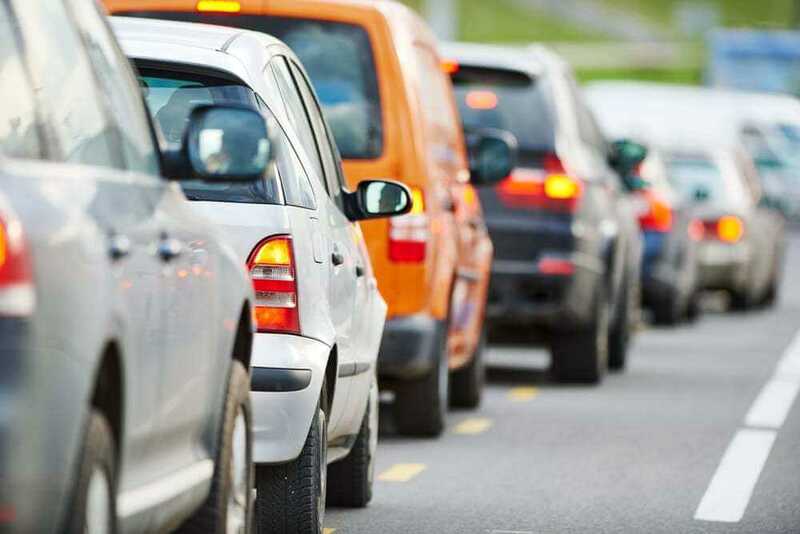 Avoid driving at peak traffic times whenever possible. When there are fewer drivers on the road, your risk of getting into an accident is much lower. Try to plan your drives—especially longer trips—when there is less traffic. Avoid the busiest travel days—such as the day before Thanksgiving or Christmas Eve—altogether if possible. There’s nothing you can do to stop rain or snow from falling from the sky. However, it’s important to make sure your car is ready to withstand harsh weather during the holiday season. Make sure your windshield wipers and lights are working and that your tires and brakes are in top condition. Consider using an anti-water protector if you live in an area that gets heavy rain frequently. If you live in a snowy climate, keep an ice scraper in your car and check your car’s antifreeze levels. Listen to the weather reports in your area as well. If the forecast for the day is especially severe, try to stay off the roads as much as possible until the weather clears. The holidays are stressful, which means drivers’ nerves are wearing thin. Getting stuck in traffic is a frustrating inconvenience that can cause some drivers’ tempers to snap, which increases your risk of encountering road rage during the holiday season. Always rise above road rage and stay out of the way of particularly aggressive drivers on the road. Never tailgate, and keep a safe distance from the other cars on the road at all times. It’s important to follow the speed limit no matter what time of year it is, but sticking to a safe speed is especially crucial during the holiday season. If you are driving at or slightly below the speed limit, your chances of being involved in an accident drop significantly. Also, driving slowly helps minimize injury to yourself and your passengers if you do get into an accident on the road. Just make sure to stay in the slow lane and allow other drivers to pass you to avoid inciting road rage. New Year’s Eve is by far the most dangerous day to drive during the holiday season. In fact, it is the 5th deadliest driving day of the entire year. The number of accidents on the road almost doubles on New Year’s Eve, and the number of fatal accidents increases by more than 50%. If at all possible, stay off the roads altogether on New Year’s Eve. same smart choice. Consider hosting a small gathering at your own house to celebrate the beginning of a new year, or stay the night wherever you go to avoid the dangers of the road.